Millennium 7 Publishing Co.: YOUR Social Media Influence Strategy? 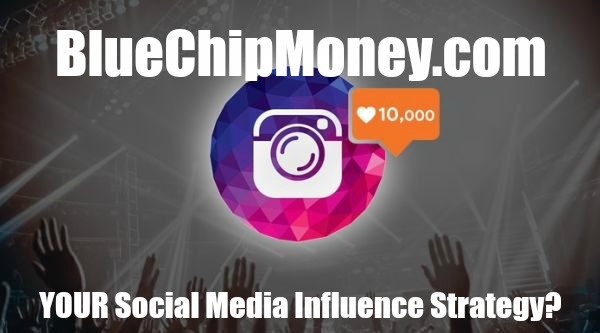 YOUR Social Media Influence Strategy? Two strategies for millennials to grow their social media influence right now.. The most prominent one that comes to mind for me is social media. This digital space has changed my life drastically. It has allowed me to generate levels of income I never thought imaginable. My company, Social Revelation, helps hundreds of clients from all around the world grow their social presence. Related Article: LinkedIn's Top Social Media Marketing Voices? In my experience, Instagram is one of the most lucrative platforms to be involved with. I personally know of countless millennials who leverage Instagram to create six-figure levels of annual income or more. The biggest factor in taking full advantage of this opportunity lies in audience reach. Brands will pay to get their product or service in front of your audience if you have a large enough reach. Brands with a marketing budget that's in line with social media marketing strategies will likely pay more. According to Hopper HQ, Kylie Jenner reportedly makes $1 million per paid Instagram post. Put that into perspective. Because of the huge financial gain that social media has brought her, she is on track to become the world’s youngest self-made billionaire. Guest Authored By Ryan White. Ryan is a Digital Entrepreneur | Press Contributor | As seen on Forbes, Inc, Entrepreneur, Business | @SocRevelation: Founder | Managing Media for 7-8 Figure Earners. Follow Ryan on Twitter. "Follow these two basic strategies to put yourself in a better power position to convert more followers to your page. Be proactive and take action.